Will Sandoval's Continued Struggles at Third Last? He's been scaring us since the first day he walked into Spring Training.....last year. Pablo Sandoval's weight has been the subject of much controversy ever since he landed in Boston just last offseason. 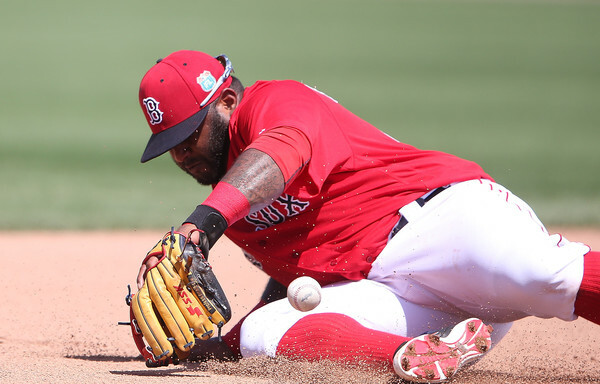 And the worrying in Spring Training last year showed on the field for Sandoval, as he went on to rank dead last with his defensive metric (-15.1) and his UZR (-16.9). After the disappointing 2015 season, almost all Red Sox fans figured he'd show up to camp in much better shape. This only got us even more worried and what do you know, he's been struggling in return. 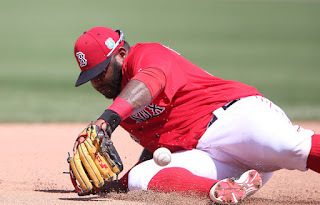 Now I know that Spring Training numbers are meant to be taken with a grain of salt, but I can't help but worry about Panda making 3 errors in just 8 games. Before yesterday's game, he was just 1-for-14 at the plate. There's no doubt that he'll improve before the start of the season, which starts in about a month. But there's also no doubt that with John Farrell on the hot seat, Sandoval's going to have a very short leash at third, especially with guys like Travis Shaw and Brock Holt on the bench jumping at the chance for playing time wherever they can find it. The key for Sandoval is to work his absolute hardest in Spring Training so he'll be in "mid-season" form for Opening Day. He also needs to show he can play third base almost every day. I say "almost" because he will get a day off here and there with Holt and Shaw ready to play. But the biggest thing that is essential to him staying in the starting nine will be his bat. In a perfect world, Sandoval would bat fifth or sixth and hit about .280 with 20+ home runs and 80+ RBIs. But the world isn't perfect and Sandoval may do a lot worse than that or better. The bottom line is that he needs to be consistent throughout the season and prove all of the doubters wrong. Because if not, Sandoval will be out after the first month and at that point, hopefully the Red Sox won't be.